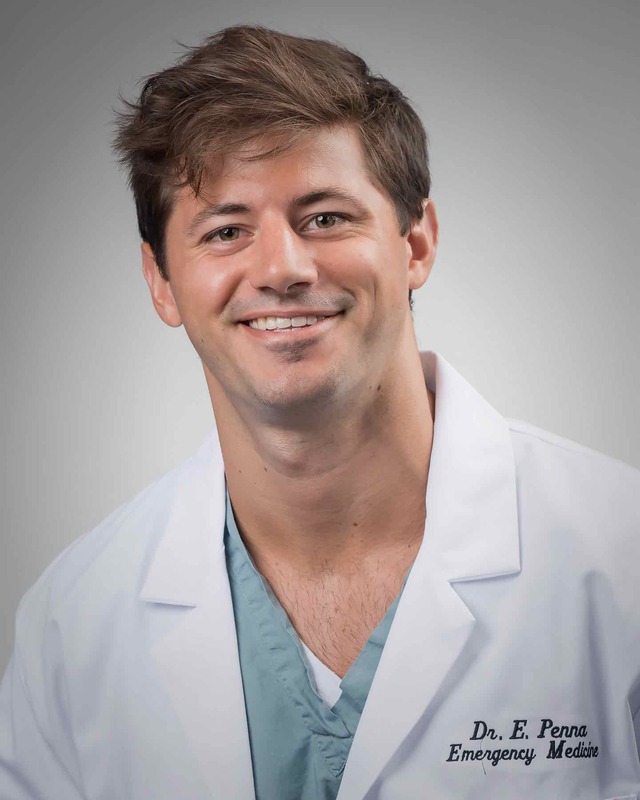 Dr. Penna is a graduate of the University of Rochester School of Medicine and a member of the Palmetto Health EM class of 2018. Dr. Fallin is a graduate of West Virginia University School of Medicine and a member of the Palmetto Health EM class of 2017. 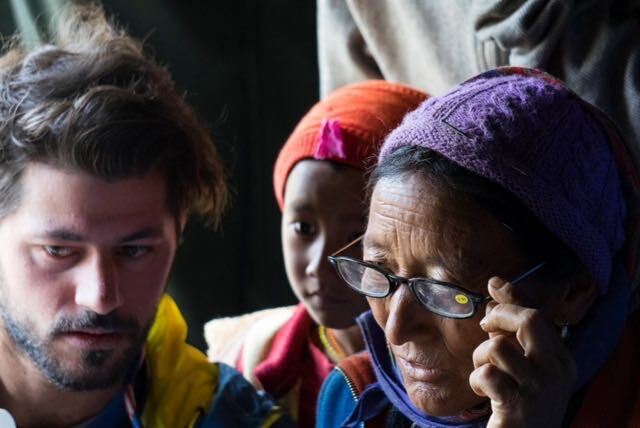 Himalayan Health Exchange (HHE) is a for profit organization established in 1996 providing medical expeditions combining service, education, and adventure in the Indo-Tibetan region of Northern India and Nepal. It was established by Ravi Singh, a native of Himachal Pradesh, who continues to organize and participate in each of the six yearly expeditions. 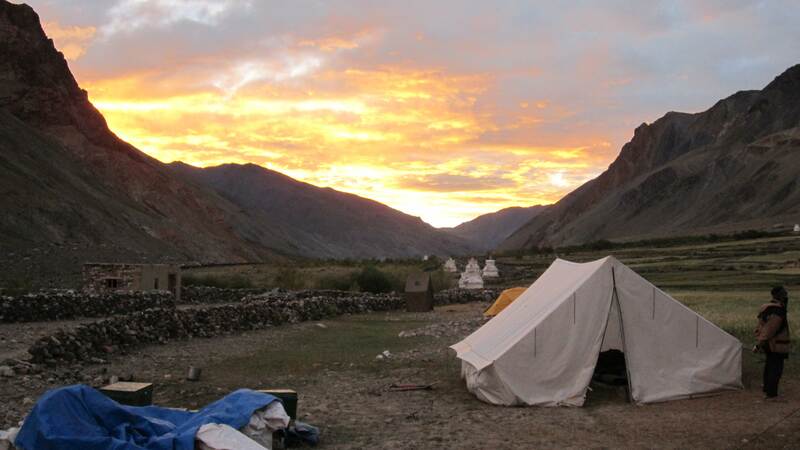 This trip was named Kargiakh, a medical/dental trek through remote villages of the Zanskar Valley located in Ladakh. I chose this global health elective for a combination of reasons including my love for travel and adventure, exploring new cultures especially Buddhism, and interest in providing medical care in resource poor settings. As a well-established program, I felt there was relative continuity of care difficult to achieve with most moving clinics. It is also very well run and managed. I was lucky enough to travel with a fellow resident and friend, JK Fallin, which made the experience much more enjoyable and worthwhile. We flew into Delhi, India before catching our connecting flight to Leh, a small town in Ladakh, a Northern region of India. This is the second highest airport in the world at 11,500 ft in the middle of the Himalayas. As the clouds parted toward our descent, the rolling peaks didn't seem to far from the underside of our airplane. In Leh, we acclimated for two days at Hotel Lharisa, a resort with a tree-fort appearance, and met the rest of our medical team, which consisted of about 30 people (2 attending physicians, 4 residents, about 20 medical/PA students, and several other volunteers). From Leh, we took an 8-hour drive through the mountains to our first campsite of Sarchu at 13,500ft. We went over one pass as high as 17,500ft with amazing views of the mountain landscape well above the tree line. At clinic the following day, we treated the village of about 80 natives with a range of conditions including GERD, musculoskeletal pain, pulmonary infections, cellulitis, eye complaints, and dental pathology requiring tooth extraction. Most of their medical conditions result secondary to their environment and lifestyle. These small villages of 20-80 people work together from sunrise to sundown harvesting for the winter that lasts 5-6 months. This involves manual labor in direct sunlight at high elevation with limited resources including food and clean water. There are no major or dirt roads past Sarchu so it is at least several days of trekking before one would be able to catch a ride to the closest city. Furthermore, during winter months it is often impossible to drive in or out secondary to snowfall. 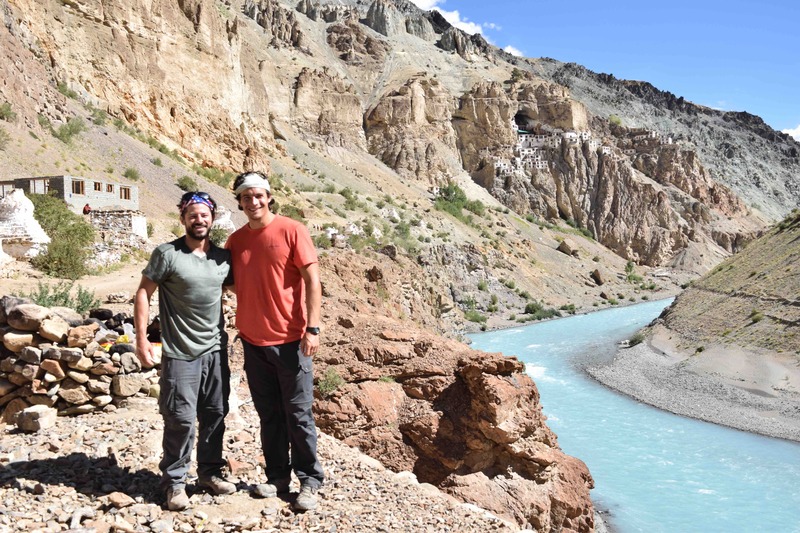 From Sarchu to Manali, we trekked the next 25 days through the Himalayas. It was five days before our next clinic day. 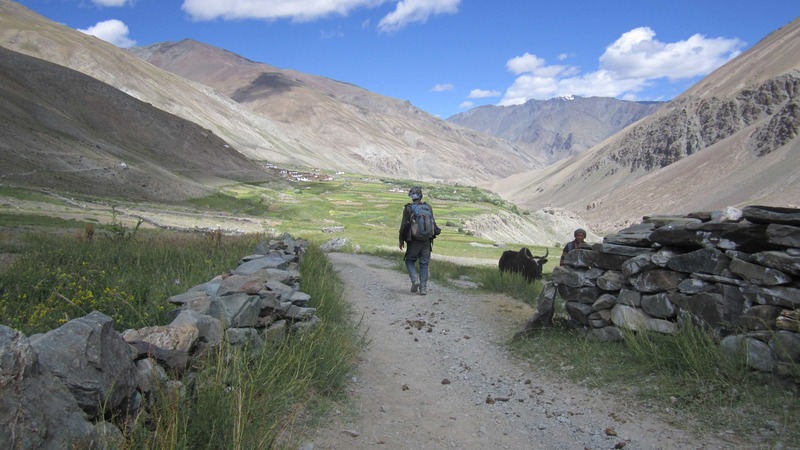 We carried daypacks while the donkeys and horses guided by sherpas carried our larger bags, medical supplies, and tents. Day treks ranged from two to eight hour hikes with different degrees of difficulty due to elevation. Meals were provided and the cooking (mostly vegetarian) by the staff was actually very good considering our limited resources. 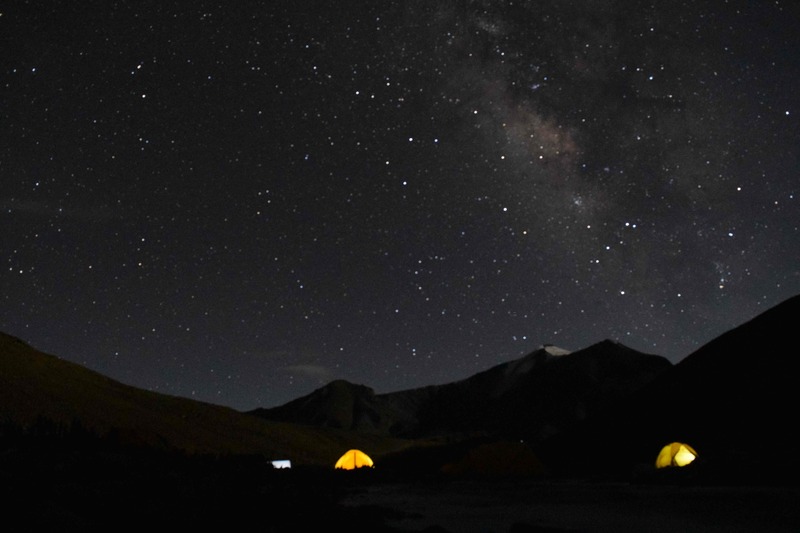 Our camp would never be more than 1500ft above the previous in order to prevent high altitude mountain sickness. Luckily, neither one of us had any symptoms besides the nightly diamox pee. 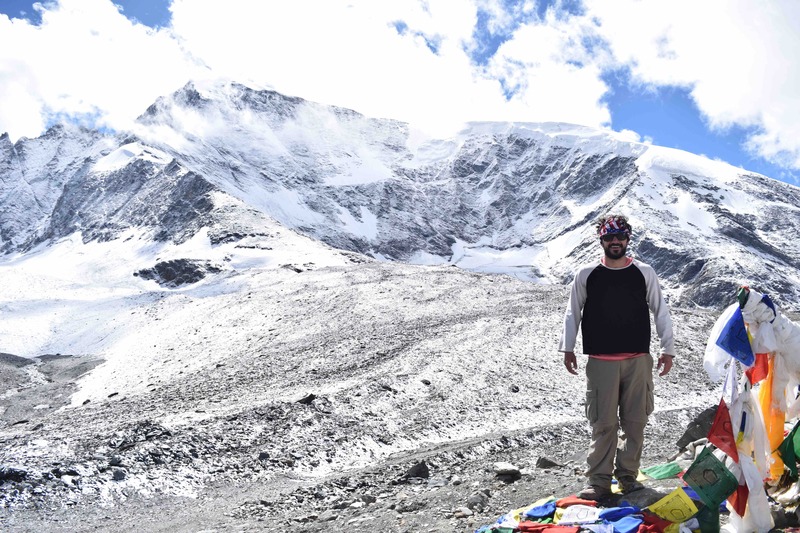 Although several members throughout the trip dealt with mild diarrhea, headaches, and nausea, we did not have any incidence of severe mountain sickness including HAPE or HACE. We would filter water daily from glacier streams crossed along the trail and wash clothes occasionally at camps that were beside rivers. The residents led a team of medical students during each clinic day, which offered opportunity for teaching. We aided in history and physical taking as well as making a diagnosis and treatment plan, which included recognition of our limited resource environment to devise the best plan for the patient. For example, we brought ORS for diarrhea but of even more utility was educating our patients how to make "isotonic" solution by boiling sterile water and adding correct amounts of salt and sugar. The medical students also did some teaching of their own as each evening after clinic one student was designated a medical topic to discuss for 15-20 minutes. They were appropriate and relevant to both global health and wilderness medicine, including topics such as rheumatic heart disease, tuberculosis, high altitude mountain sickness and physiology, and many more. We trekked a total of about 200 km starting at 13,500ft, passing as high as 18,200ft and spending most of our days between 13,000 and 15,000ft. My favorite day on the trip was our trek over "The Pass." We started early in the morning from 16,500ft and hiked for roughly four hours before reaching The Pass at 18,200ft. Several of us climbed a bit further to summit at 18,500ft. The view was spectacular as I literally felt we were standing on top of the world. Although every peak looks relatively smaller, there are over 20 peaks above 20,000ft in this region. There is nothing like it in the United States or any other place in the world. It is difficult to put into words and even pictures do not do justice. In total we had eight clinic days and saw close to 600 patients mostly treating typical viral and bacterial infections, reflux, and MSK conditions. Some of our more interesting cases were an elderly lady with Pott's disease resulting in spine disfigurement, an already diagnosed woman with miliary TB, and a young girl with Chlamydia trachomatis of her right eye. One of the most unique clinic days was at a Buddhist monastery, which is the oldest in the region dating back 2500 years ago. It remains an active monastery within a mountainside cave where boys at a young age go to live their lives in solidarity while pursuing Nirvana. This truly was an amazing experience and one of the most remarkable places in the world. Disconnecting without electronics, Internet, or cell phone was in itself a rewarding experience. It was a month full of self-reflection, majestic views, physical and mental challenges, and medical care. What else could one ask for?